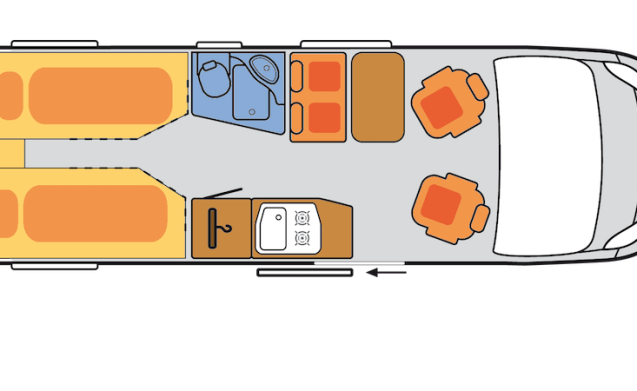 A cozy bus camper with length beds! 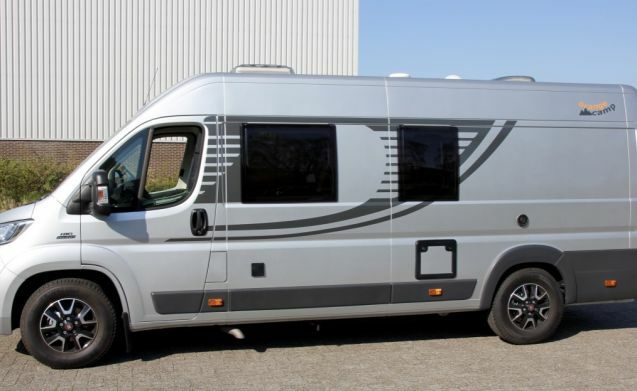 A luxurious, compact bus camper for 2 people with spacious comfortable length beds, where you can choose from one large bed or two single beds. 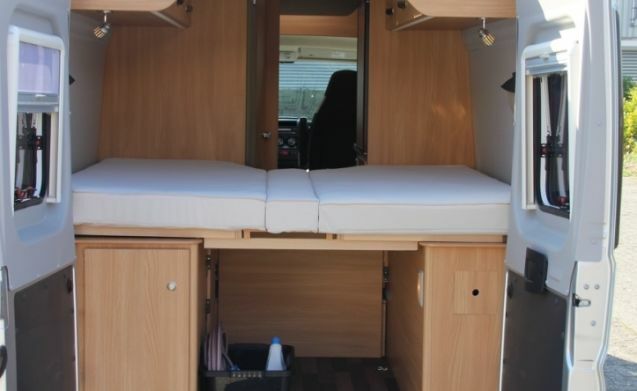 This spacious camper is fully equipped with kitchen, bathroom and lots of storage space including a wardrobe. 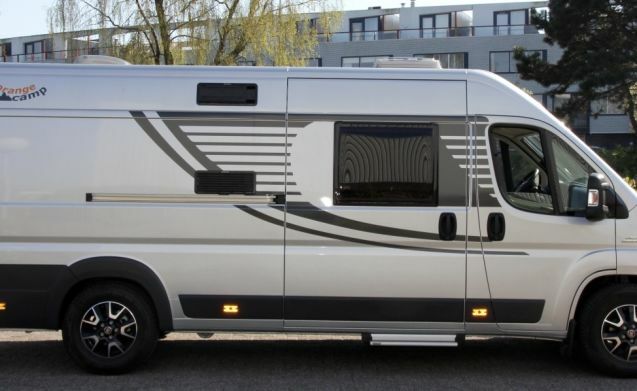 The camper is equipped with heating and hot water, through a gas boiler. 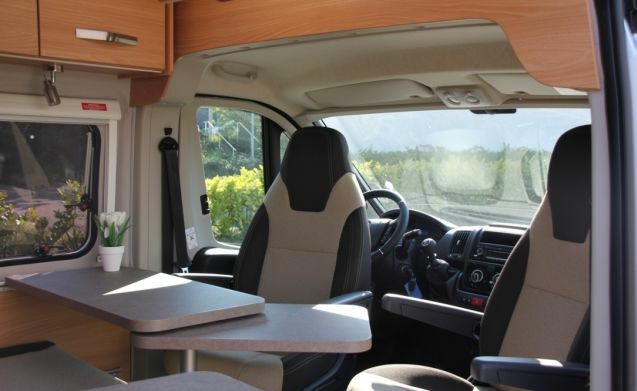 And has comfortable extras such as air conditioning, cruise control, electric step, electric windows and mirrors, and central locking with remote control. 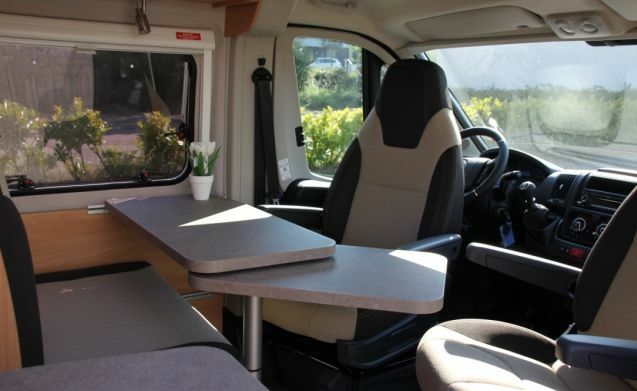 The bus camper is fully equipped with rotating front seats, dinette bench and table. 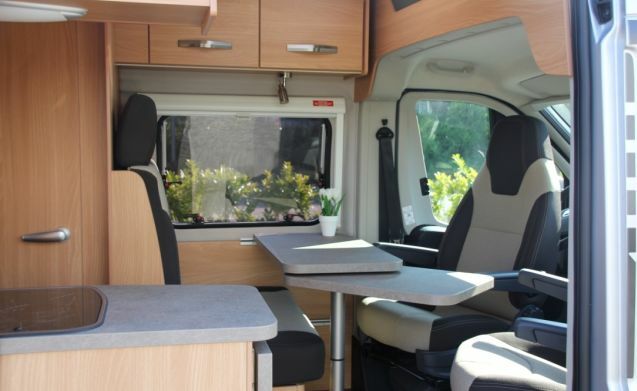 By turning the front seats and extending the table you can sit comfortably with four people at the table. 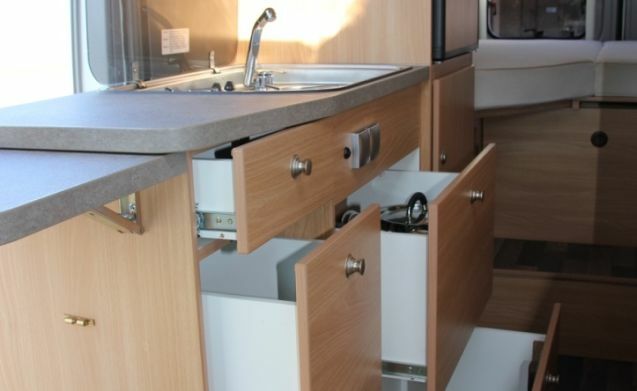 The kitchen is equipped with a 2-burner gas hob, sink with mixer tap and a fridge with freezer compartment. 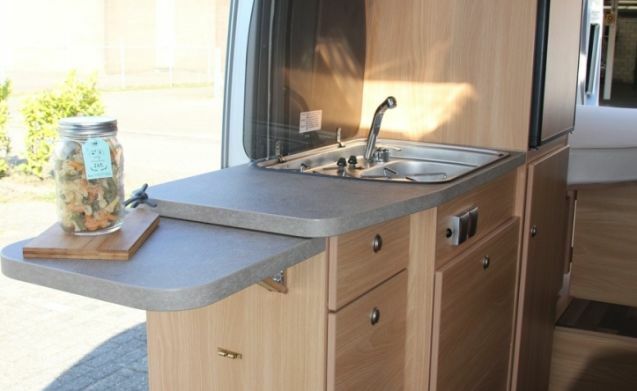 The bathroom has a toilet, shower and sink with mixer tap. 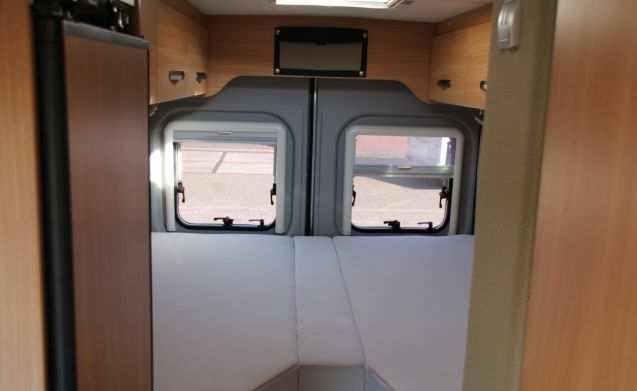 Furthermore, the bus camper is equipped with a radio / CD / DVD player, 2 water tanks, 220V / 12V power supply, a sliding screen door, mosquito net and darkening on all windows and shutters, an awning and a bicycle rack for 2 bicycles.